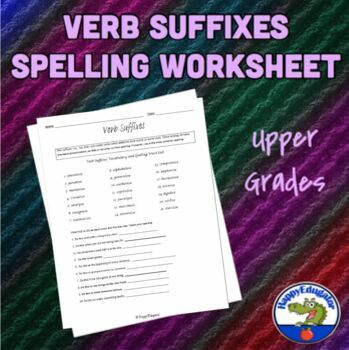 Verb Suffixes Vocabulary and Spelling Worksheet. This 2 page worksheet has a 21 word spelling and vocabulary list with words that all end in either -ize, -ise, or -yze. Four different practice sets to use with the words. Key included. Print and go.